Two years ago in a time of rising prosperity, The Monthly published then opposition leader Kevin Rudd's article on Dietrich Bonhoeffer. He used the German theologian's life and integrity to define the ethical contribution that churches can make in Australian public life. He understandably described Bonhoeffer's ethical stance in categories that reflected those of Labor Party policy. Bonhoeffer was a writer for many times. He continues to engage readers as a man whose thought, life and execution for resisting Hitler's policies were coherent. His ethics will be the subject of a conference in Newcastle later this year on the limits of tolerance. So it may be worth retracing the path walked by Rudd and reflecting on how his ethical approach might illuminate a different time of economic downturn and recovery. 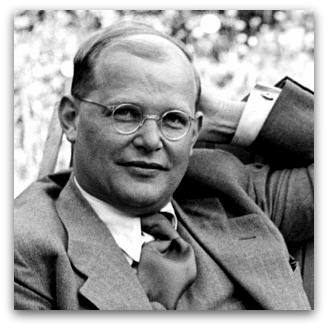 Bonhoeffer's ethics are of interest less for his conclusions about particular issues than for his starting point. He was a committed Christian who asked himself how to respond ethically in his world. His focus was theological and practical. He was not an ethical theorist who asked how faith might be relevant to his theory. The Church was central in his faith. So he did not see ethical response as the province of isolated individuals but of people gathered in the church. This view led him to emphasise the importance of forming the community to respond to their world. When he formed theological students for the confessing Church that was at odds with Hitler's policies, he laid great stress on discipline and the practice of prayer. The determining factor in making ethical decisions was reality. This included the unique set of relationships and events that compose each situation. But his understanding of reality was also theological. The heart of reality was Jesus Christ, in whom humanity and the created world are joined to God. So reality included human misery and blindness, but also the salvation from these things promised in Christ's death. To situate ethics in reality was to be shaped to Christ and to act in a way that fitted the future world that God wanted. It is no wonder that Bonhoeffer had a bleak view of human ethical resources. His times were those of crisis, from the disastrous German defeat in the Great European War through Hitler's rise to power ending in another war. He also found his own time as one of intellectual and moral crisis in which people had to respond to these extraordinary public events, but found their personal resources and their received theological and ethical frameworks inadequate for the task. In our similarly demanding times Bonhoeffer's stress on character, with its distinctive theological definition, is attractive. For him ethics was about persons together acting responsibly. It did not express itself in rhetoric about hard times and hard decisions, but in acting responsibly without regard to popularity. The emphasis on the future in Bonhoeffer's ethics is also relevant today. All the signs suggest that the economic crisis has not led us to reflect to any purpose on what kind of economy and society we desire and will be able to afford. In particular the reality that global warming is likely to be exacerbated by an economy based on increased consumption and rooted in competitive individualism is either denied or ignored. To face reality courageously you need encouragement and strength. In democracies the crucial decisions that shape the future world are made by politicians. The attention Bonhoeffer gave to nurturing faith and its practices may lead us to ask what kind of convictions animate political parties, and what kind of formation and discipline will support politicians in acting in accordance with those convictions. A three line whip does not seem effective in encouraging consistency between professed ideals and practice. Bonhoeffer's lack of esteem for analytical and consequentialist thought in ethics also bears reflection. Both his experience and his theological view of the human condition made him aware of how strongly self-interest shapes analysis. A healthy disrespect for the certainties offered by economic analysts and a proper contempt for greed as the engine of banking and business are difficult to maintain. But they are essential in any ethical response to the future. Finally, churches might find some illumination in Bonhoeffer's ethics. He suggests that ethical response is done quietly in the network of relationships and contingencies that shape public life. It is not about looking good or right. Andrew Hamilton is the consulting editor for Eureka Street. He also teaches at the United Faculty of Theology, Melbourne. An enjoyable and thought provoking read for a long-time Bonhoeffer devotee Might I suggest you follow it up with a feature on Obama and H. Richard Niebuhr, recently re-reading 'Christ and Culture,' and 'The Social Sources of Denominationalism,' has left me amazed at their enduring relevance. I recall hearing Robert Jewett speaking last year on America's role in the international scene and his hope that Obama's familiarity with Niebuhr's writings would have a positive influence on his administration. Certainly I think we could all benefit from revisiting some of those great twentieth century theologians like Niebuhr, Bonhoeffer, Yoder and Tillich (rather than the current fixation in some circles on Barth). 'Ethical response...is not about looking good or right'. Is it therefore about being good and being right? But why the deafening silence from Eureka Street on the ethics of Malcolm Turnbull's behaviour in the OzCar affair? I am dismayed that the spirit of Bonhoeffer is hijacked to support the greenhouse theory, which is a theory of some scientists and not a moral imperative. I have wondered myself how Prime Minister Rudd equates some policies and practices of the Federal government, particularly in relation to Aboriginal Australia, with his admiration for Bonhoeffer. Words are not enough. May I reproduce the letter I sent last evening to a mainstream paper in the light of the current Pacific Nations forum. ‘The Prime Minister is concerned about democracy in Fiji.